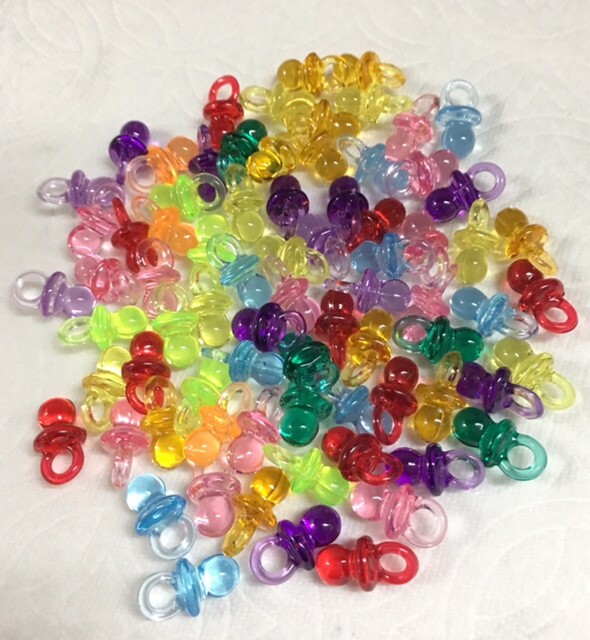 Pink,Blue or Multi Pacifier Necklaces. 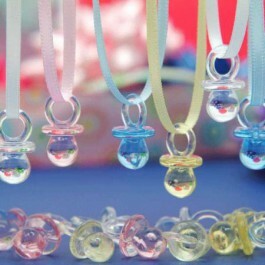 Use these pacifier necklaces to play the Pacifier Necklace Baby Shower Game. It? 's easy to play, just hand each guest one of these necklaces to wear during the shower and ask them to avoid saying the word ?"baby?". If they do, whoever catches them, gets to take their necklace. The guest with the most pacifier necklaces at the end of the game wins! Another version of this game is catching others crossing their legs, either version is fun! These necklaces come with a 2" plastic pacifier on a 30" satin ribbon cord. Colors in the Multi pack may vary.